Check H1Z1 server status and possible outage and problems reports which are generated by the players of H1Z1. 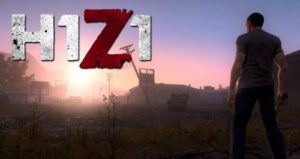 It is a sandbox massively multiplayer game available to play online, some people also know the game with H1Z1: Just Survive name. H1Z1 is developed & Published by Daybreak Game Company, and is available on MS Windows and PS4 console boxes. The problems occurs with the game servers at intervals and we continuously monitor the server status and update you if anything happens. The common reported issues with H1Z1 includes login problems, lag in game-play, game error g28 and some other issues. Check out here any latest error which is on-going and trending at our error reporting center, we regularly see what is going on and possible reason for server breakdown. If Today you are having any type of problem with the service you can submit your reviews and problems here, reviews in the comments section and problems in the error reporting graph. Just Survive has moved! Follow and tweet to @PlayJustSurvive for official news and updates.